Castle Vardulon: What the hell, internet ad? 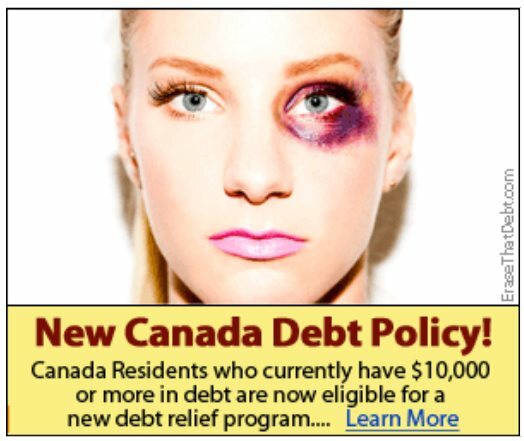 Please tell me that someone just grabbed the wrong image when they were making the ad and there was no oversight before it went up. Please tell me that this wasn't an attempt to create some kind of a metaphoric relationship between debt and physical abuse. Or debt and people who are bad at special effect makeup.